Hail and Well Met Friends! Become a Sponsor for the New York Tolkien Conference. By becoming a Sponsor you are helping the organizers of the NYC Tolkien Conference organize a free conference for every Tolkien fan to attend for years to come. What can be better than an all day Free celebration of all things J.R.R Tolkien? The New York City Tolkien Conference is a FREE, one-day event that will take place at Baruch College on June 13th 2015. It’s important to us that we offer this event to the general public for free. But there’s a reason that most cons charge entrance fees, anywhere from $20 and up. The costs involved in running such an event really does add up. And, if you’re planning on publishing a conference proceedings—which we are going to do—then the costs can skyrocket. Only with your help can we make sure that we’re producing a first-class event that will be 100% free to attend and participate in. 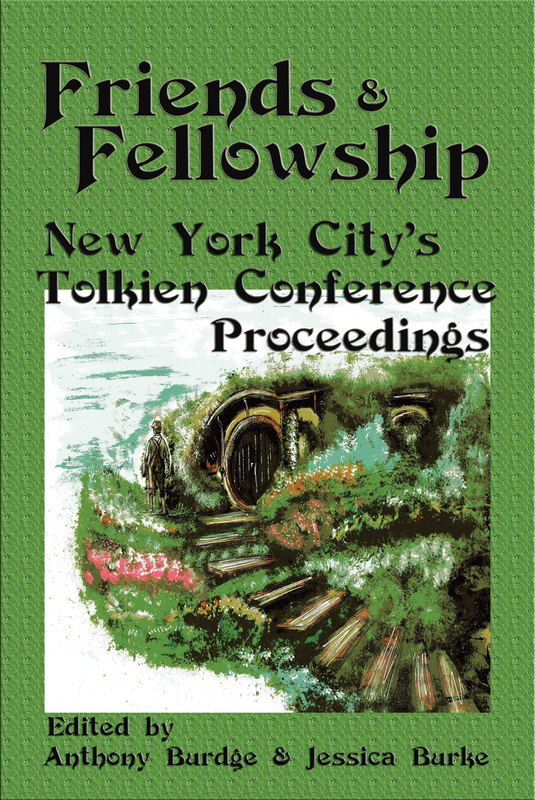 And, only with your support can we offer a published collection of the conference proceedings: Friends & Fellowship: New York City’s Tolkien Conference Proceedings. Together, we can build a great event that’s based on community, creativity and exploring our love of Tolkien. This campaign would help us ensure that we have a solid foundation to keep the Conference as a free event for years to come. Conference Materials. We’ll need to print programs, produce maps and signage for the con itself, produce identification for attendees, presenters, and con staff, and other miscellaneous items to effectively run a great Journey to Middle-earth. Promotion. The more people we can get to an event like this, the more fun it is! We need to print posters and flyers, host websites and more to get the word out about this event. Conference Proceedings. To make this event something truly memorable, we’re going to publish the conference proceedings in a single volume. This will be a print-on-demand title, available via Myth Ink Books and Amazon. But, supporters of this campaign will receive the book before it’s made available to the public. Campaign & Volunteer Perks. Offering physical perks adds to the cost that we’ll need for this event. Read more about the awesome perks we’re offering below. In addition, this campaign will help us offer some perks to the folks on the ground volunteering on the day of the event. We’ll be offering them a copy of the con proceedings and a successful campaign will allow us to offer them another thank you gift—and as you know Hobbits love gifts. Whatever we offer the volunteers will be offered in some levels as well. The risks to hosting this event are minimal. If we don’t reach our funding goal, we’ll still put on an event, it just won’t be nearly as cool and we might not be able to as easily publish a proceeding after the event. All of the funds will be collected and spent under the proven stewardship of Myth Ink Books and the organizers (and founders) of Heren Istarion: The Northeast Tolkien Society (previously known as the New York Tolkien Society). Baruch College and CUNY are unaffiliated with this campaign or the organization of the event. You can be sure that 100% of the money raised will be used appropriately. You can also be confident that the event will be executed as promised. Hobbit Support level ($10): We’ll list your name, as before, but you’ll also receive TWO E-books from Myth Ink Books. You’ll receive a digital copy of the conference proceedings, Friends & Fellowship. 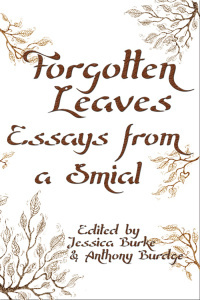 But you’ll also receive a digital copy of Myth Ink’s other Tolkien title, Forgotten Leaves: Essays from a Smial, which will have it’s official book launch at the NYC Tolkien Conference. Dwarf Support Levels ($20 and $30): As with the earlier levels, we’ll list your name on our site, give you a shout-out, and you’ll receive both e-books. But, for this level, you’ll receive a paperback copy of Friends & Fellowship. AND, you’ll be thanked in print. Your name will be listed on a support page in the text. This level is offered for Domestic ($20) and International ($30) shipping. Ent Support Levels ($20 and $30): As with the earlier levels, we’ll list your name on our site, give you a shout-out, and you’ll receive both e-books. 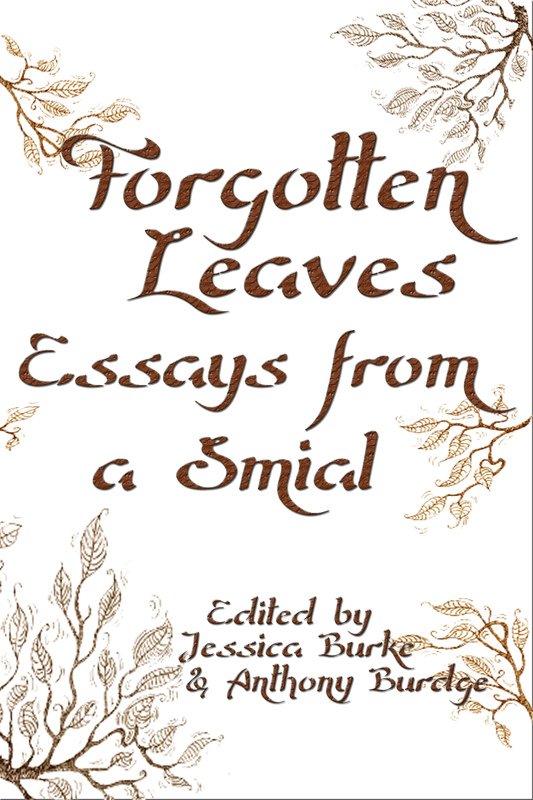 But, for this level, you’ll receive a paperback copy of Forgotten Leaves. Your name will be listed on a support page in the text. This level is offered for Domestic ($20) and International ($30) shipping. Elf Support Levels ($60 and $80): As with the earlier levels, you’ll have your name listed as a supporter. But for this package you’ll receive BOTH e-books, BOTH paperbacks, and have your name listed in Friends & Fellowship but in the acknowledgements. As if that’s not enough, you’ll also one CD from The Lonely Mountain Band and our artist guest of honor, John DiBartolo. You’ll get to choose from 3 titles. You’ll also receive two other digital titles from Myth Ink Books, Dark Tales from Elder Regions: New York and The Friendly Horror and Other Weird Tales. And, we’ll add another special thank you gift. This level is offered for Domestic ($60) and International ($80) shipping. Wizard Support Levels($120 and $140): You’ll have everything from the previous packages: paperback copies of Forgotten Leaves, and, Friends & Fellowship. You’ll be listed as a sponsor on the website and in the acknowledgements of Friends & Fellowship. You’ll receive all 3 CDs from The Lonely Mountain Band. You’ll receive a complete digital collection of Myth Ink Books. Plus, we’ll send you a few more paperbacks for your bookshelf: Tales from Elder Regions: New York and the second edition The Friendly Horror and Other Weird Tales with exclusive artwork by Luke Spooner. You’ll receive a print of the NYC Tolkien Conference artwork, the brilliant painting of Bag End by Luke Spooner. And, we’ll add another special thank you gift. This level is offered for Domestic ($120) and International ($140) shipping. Valar Support Level ($300 and $400): You’ll have everything from the Wizard Support level, but we’ll include paperback copies of all of Myth Ink Books’ titles through to the end of 2015. You will be listed as a sponsor of the conference and the Conference Organizers will buy you a Pint (or 3) after the Conference. This level is offered for Domestic ($300) and International ($400) shipping. Please note, the international items will be shipped as they become available, hence the higher shipping and handling fee.